Working in the kneeling positions is a great strain on the body and on your knees in particular. Therefore, it is important to use the right kind of knee protection that fits optimally on your knees. Our new flexible Kneepads 9200 KP are certified according to EN 14404 type 2, level 1. 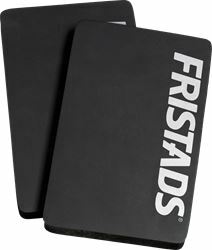 Certification is only valid when the knee pads are combined with the Fristads knee pockets trousers for which they are certified with, see the relevant product information. 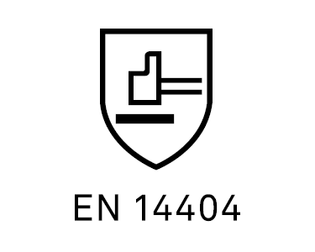 Knee protectors suitable for use on flat or non-flat floor surfaces and providing protection against p​​​​​​​enetration of objects up to 1 cm in height and a force of at least 100 ±5 N.
EN 14404 is the certification for knee protectors approved for working in kneeling position. Type 1 knee protectors are independent of other clothing and fasten around the leg. Type 2 knee protectors made of foam plastic or other padding material to be placed in pockets on trouser legs, or permanently attached to trousers. Type 3 knee protectors that are not attached to the body, but put in place as the user moves around. These may be for each knee or for both knees together. 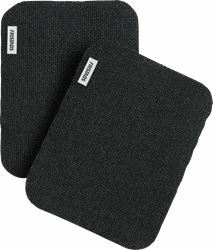 Type 4 knee protectors for one or both knees, which are parts of devices with additional functions such as a frame to aid standing up, or a kneeling seat. The knee protectors may be worn on the body or be independent. Level 0: Knee protectors suitable only for use on flat floor surfaces and providing no protection against penetration. Level 1: Knee protectors suitable for use on flat or non-flat floor surfaces and providing protection against penetration at a force of at least 100 ±5 N.
Level 2: Knee protectors suitable for use on flat or non-flat floor surfaces in severe conditions and providing protection against penetration at a force of at least 250 ±10 N.
Our Knee Protection 9395 KP are certified together with our knee pockets trousers according to EN 14404. 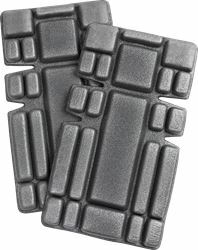 An option to knee pads when it comes to just making kneeling work more comfortable is the Reinforcement 958 KEV, which also can be used on thighs and elbows (Important! should only be heated on by professional retailer).